B&H recently ran a deal on a product I had my eyes on a couple years back: the Steadicam Solo Stabilizer and Monopod for getting smooth shots. It was originally $500, but you can pick it up now for as low as $150. Where did it all go wrong? Winding back the clock, RC Helicopters and quadcopters had just become “drones,” and if you wanted to fly your GoPro in the air, you needed to stabilize it. In came the gimbal, which had arguably reached the masses for the first time. When Freefly debut their MOVI system, the gimbal became handheld like never before. It hasn’t been an awful long time, but the rush to market from this style of stabilization has been incredible. You can stabilize your phone, your Arri, and everything in between. Hell, there’s even room for a gimbal on a Steadicam system. Why Would You Buy a Steadicam? It’s no surprise that Steadicam, and knock-offs alike, have surely taken a hit from this. High-end Steadicam operators are always going to be needed on large sets, but on smaller ones, I’m not so sure. 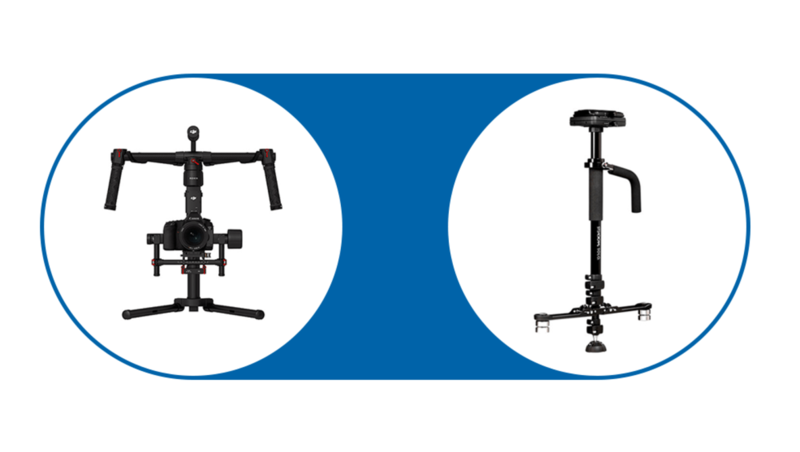 Why bring a device that can be difficult to use and weighs more than the comparable gimbal? The Steadicam Solo is a brilliant idea and perfect for event videography, but that’s not to say it’s any lighter than the competition. The plus side is that it’s cheaper, doesn’t need a battery, and can be put on the ground easily. Would I personally consider getting one? Not at all. The motor in a handheld gimbal-based system can take the slight errors in balance that I’ve made and smooth them out. Their batteries are generally amazing (my Ronin-M doesn’t need a charge for 2-3 shoots), and I’ve never had any unreliability. The Solo was $500 when it was released, making for a sharp discount in the wake of competition. Tiffen, the people who now make the Steadicam-branded stabilizers, have tried to meet people in the middle with the new Steadicam Volt. It’s small, for smartphones, and includes a built-in gimbal of sorts, electronically aiding the process in order to make things a bit easier. Let’s face it: the consumer who buys this might not understand how to balance a Steadicam. At that, they may not grasp how to control it. Bringing in the gimbal should help users get past that learning curve. Is it enough to win the hearts of the consumers? What about the professionals at the lower end? This new Steadicam offering from Tiffen could make them more attractive, even just to test out and get a feel for the system. I'm not sure, you really have to nail the balance on a gimbal (especially the DJI Ronin) compared to a steadicam. So maybe for more of the smaller productions/one man bands the setup time might take a bit longer. People may be buying more gimbals these days over steadicams, but at least in the more pro video/film market steadicam still is king. I think it's like RED cameras from back in the Mysterium days, where people just cared about shooting with a RED camera just by name. People just want gimbals since everyone else is using one. I see a ton of gimbals for sale in the used market though. In my opinion, it completely comes down to preference. 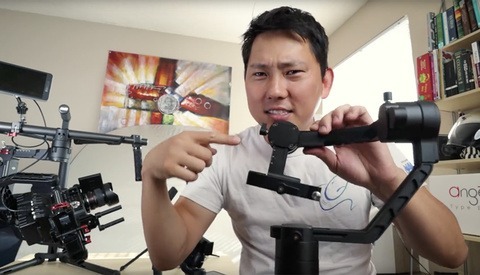 Both DJI Ronin and Glidecams have their pros and cons, but in my experience I preferred the Glidecam once I figured out how to balance it properly. Never have to worry about battery life, getting the unit wet, and I can easily set it down without any kind of mount to put it on. The best advice I can personally give is to rent both, do tests, and figure out which one fits the type of work you want to do. Looking at it from a business perspective market saturation tends to drive prices down, and we all are the benefactors of cheaper/quality gear that significantly improves our production quality. So hooray! Electric gimbals are super useful tools, but they do seem to introduce a mechanical looking smoothness that glidecams don't. Glidecams are generally cheaper, can carry much more weight, provide more flexibility of movement, and can show much more "organic" movement, compared to consumer hand held electric gimbals. So I see a use for both going into the future, depending on what the creator is after. I wonder if the "electric pan/tilt" movements, caused by modern electric hand held gimbals, is a bit of a fashion that will largely pass in time. I suspect that videos made today which feature that kind of movement in the footage will look quite dated in a few years. We're all going to look so tacky in a decade.. I actually bought one of those Solo's for the $150, too good of a deal seeing as I didn't have and really wanted one. Great deal, despite the ridiculously long setup/weighting period, it makes great smooth footage for the run and gun documentary stuff I do. I won't use it terribly often, but after just using it once I love it. You did exactly what I was so tempted to! The Tiffen Company should be avoided. I'll never trust this company again. 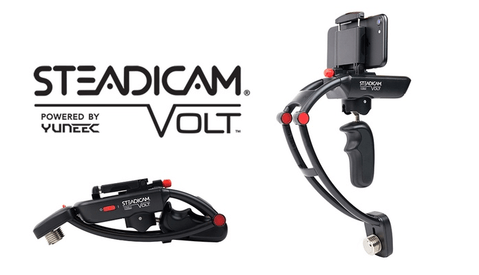 I ordered the Tiffen Steadicam Volt on Kickstarter. Yes, the big name Steadicam. Tiffen had a few delays as expected in any new product development. Breaking their own promises, they sent inventory to retail before the 6,200+ backers who collectively spent $1.1 million. Tiffen charged Kickstarter backers extra for a "premium" case, but threw it in free to pre-orders on their website after Kickstarter closed. I have bought a lot of Tiffen gear over the last few decades, I will now recommend all their competitors instead.